The location is really great for those who have in mind to explore the surroundings and the Tuscan cities but also for those who want to spend a day at the sea. The Tuscan coast offers a great choice of seaside resorts from Cecina, Marina di Bibbona and Marina di Castagneto Carducci to Follonica, Castiglione della Pescaia and Punta Ala.
Not to be missed are the famous Tuscan provinces such as Florence, Pisa, Siena etc, but also very characteristic villages such as Volterra, San Gimignano, San Miniato, Certaldo, Colle Val d'Elsa and nearby Lajatico with \"Teatro del Silenzio\" of Bocelli. Not too far away is the prestigious Chianti area where you can go on panoramic roads and taste the renowned Tuscan wines. You can park for free at 100m from the house, but naturaly to bring your luggage you can stop right next to the house. In the past years we have had so many happy guests that they often wrote in the on-site guest book, but they did not leave it online. I would like to share with you the things they wrote: "This was our first holiday in Tuscany in this holiday home. Breakfast outside, in the beautiful garden, and of course, the well-maintained pool. During the evening we enjoyed the spacious rooms of the house. Truly a stay to remember, and we hope to return one day! " 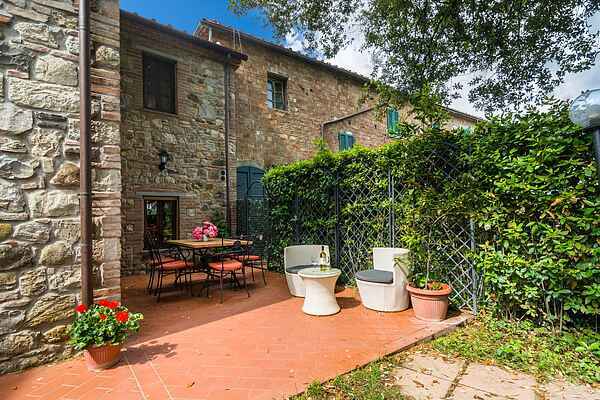 "Wonderful house, beautiful pool, fantastic Tuscany" "We had a wonderful holiday. A truly beautiful house with many details of the past. We enjoyed the surroundings with its many beautiful villages to visit. We kept ourselves fresh with the pool. In the relaxed atmosphere of the house I could also study, which is always a challenge during the holidays. Thanks for everything!! "